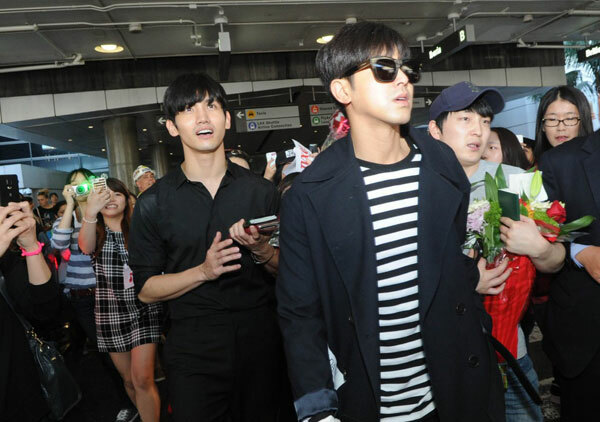 A flurry of stars arrived at Los Angeles International Airport’s international terminal Thursday for the 13th Korea Times Music Festival. 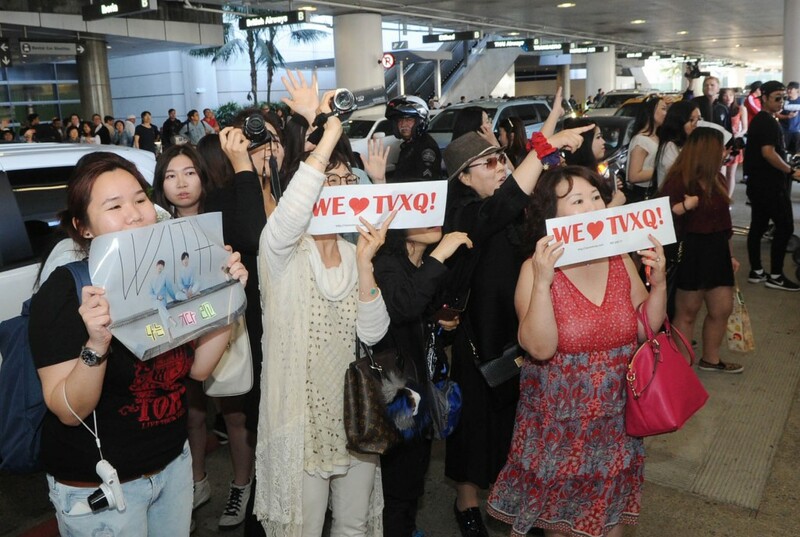 Enthusiastic fans gathered to greet artists, whom they will see live at the Hollywood Bowl on May 2. Arrivals included TVXQ, EXID, Kim Bum-soo, Bada, Kim Yon-ja, Oh Seung-geun, Heejun Han and Kim Soo-hee. The annual festival is a Los Angeles mainstay for both fans and families and the first Korean music celebration of its kind in the United States. K-pop has proven infectious in these parts, especially in a city with the largest Korean population outside Korea. More commonly, others discover and develop an interest in the genre through the Internet, from online communities to easily accessible YouTube videos. This year’s lineup includes 13 acts, including Cool, Got7 and A Pink.